Ever wondered when the best time to visit the Falkland Islands is? Before getting into the information regarding the best time to visit the Falkland Islands, one must know a few very important things about this archipelago. First of all, though it may still be a British territory, this archipelago is pretty much isolated from the rest of the world. Its location is somewhere further south from Argentina, which makes it truly remote and figuratively invisible in the world map. In fact, no one would have probably heard of this archipelago if not for the unfortunate war between the British expeditionary special force and Argentinian military that occupied the island. The casualties in the 1980’s Falklands War have amounted to about 900 souls both among the British and Argentinian forces. 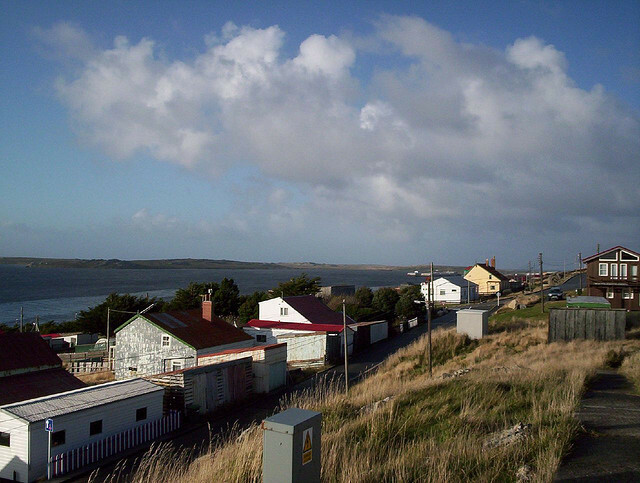 Secondly, due to the isolation of Falkland Islands its civilization is only limited to the basic necessities of life. Anyone looking for five-star restaurants and shopping malls should never choose this place for a vacation. However, nature lovers truly find this archipelago a unique paradise. The Southern Hemisphere Summer months occur around November to February. Given that the archipelago is located closely to Antarctica, this season is considered the best time to visit the Falkland Islands. One can very much use a warmer climate in this cool region. This season is considered the busiest both in the contexts of human civilization and wildlife. Perhaps it is because of the high activity of animals around this particular interval of the year that tourists come in droves. After all, eco-tourism is the principal source of tourist activity in the archipelago. It is important to remember that this season may also be the best time to coordinate with an Antarctica cruise since summer in these parts of the world has mild ocean currents. While you plan to make your vacation outside the summer season, you should always remember to pack some windproof jackets and thick pairs of boots. This dry season could get really cold which would easily remind people how close they are to Antarctica. The main advantage of considering this season as the best time to visit theFalkland Islands is that this season is less busy compared to summer. One can always take advantage of the solitude and isolation, especially for those who really opt for an escape from the pressures of city life. September to April also introduces the tourists in Falkland Islands’ interesting fishing culture. The national holidays are important events in this archipelago. The Queen’s Birthday is an important national event celebrated by all British Commonwealths. The ones in Falklands may differ in date from those in Canada and Australia. Another important national holiday is the Liberation Day. This day commemorates the victory of local Englishmen against the invading Argentinian forces. Over 645 Argentinians and 255 British men died during the Falklands War. Lastly, the locals of Falkland Islands also celebrate the Battle Day. This national holiday commemorates the victory of the Royal Navy against the Germans during World War I. Thanks for the tips on the timing of a visit. I’ve often been intrigued by the Falkland Islands. They don’t look luxurious but they look like a natural and fascinating place. The opportunity to see penguins there and then to go onto Antarctica would be of great appeal to me.